This Sunday, I will finish a two-part message on the Ten Commandments (as part of a larger, biblical theology, sermon series). So, I’m rereading a book I have found insightful in the past, God’s Rules for Holiness, by Peter Masters, pastor Metropolitan Tabernacle in London. 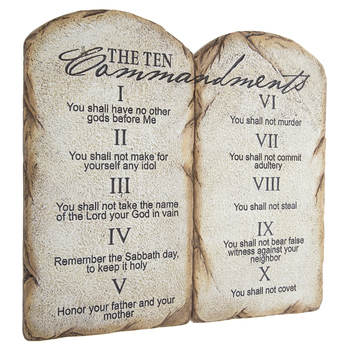 In the book’s Prologue, the author explains five qualities of the Ten Commandments. When the commandments are studied with these in mind, they will bring the most value to our growth in holiness. The Commandments Reflect God’s Character – The Ten Commandments “flow directly from the eternal character of the holy God, and reflect Him….It is because they reflect God’s perfect character that they are the standard by which the world will be judged, and also the permanent rule of life for redeemed people.